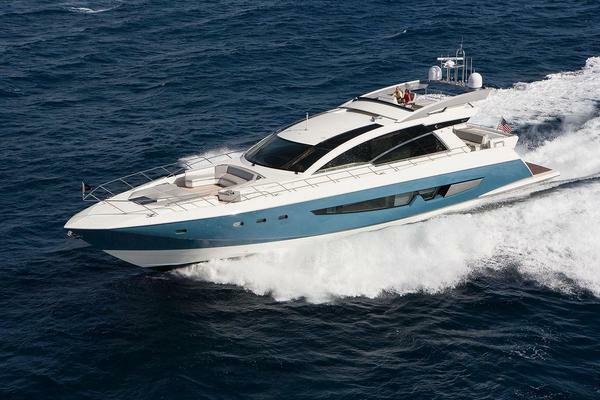 This 2007 Mangusta 80' was delivered new to her first owner in April of 2014. The listing price started at 6.8m USD. She has had a 700k refit including an entirely new interior with espresso cherry, all new electronics, and there is only 650 hours on her 16V2000 MTU Common Rail engines with Arneson #15 drives = 46 knots = 53 mph. The owners plans have changed and she is now for sale. United Yacht Sales New Jersey would love to guide you through a personal showing of this 80' Mangusta 80 2007. This yacht for sale is located in Fort Lauderdale, Florida and priced at $1,695,000. For a showing please contact us by filling out the form on this page and we will get back to you shortly! New listing. 2007 delivered new to first owner is April 2014 and just completed over 700k refit. Stay tuned for full specs and details.